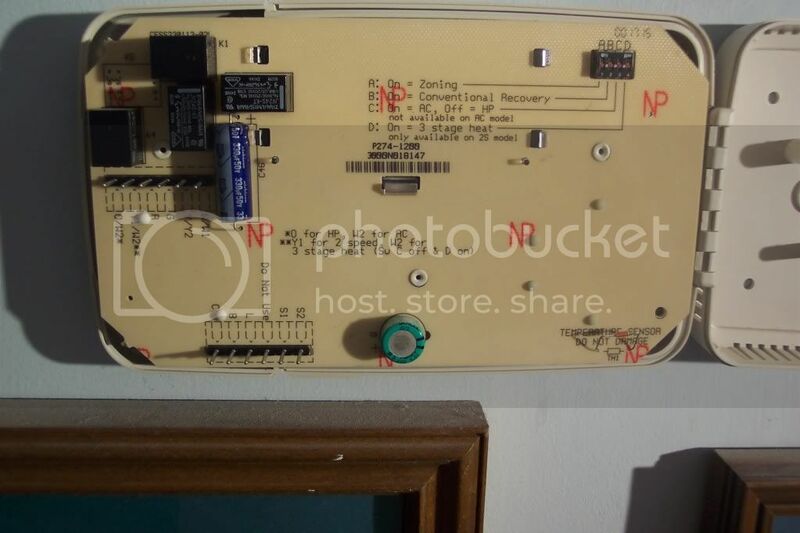 Some time ago, I posted my dilemma regarding identification of my programmable thermostat for my heat pump. There were some helpful responses, but I still don't know what can I have or how to tell whether it is one-stage, two-stage, or whatever. The heat pump has emergency heat strips, if that helps. Otherwise, here are two pictures of the one that I want to replace. They should be large enough that you can tell the wire colors and such. If you can tell me what I have, I'd very much appreciate it! Yeah, it muddied them a little, but that's ok! 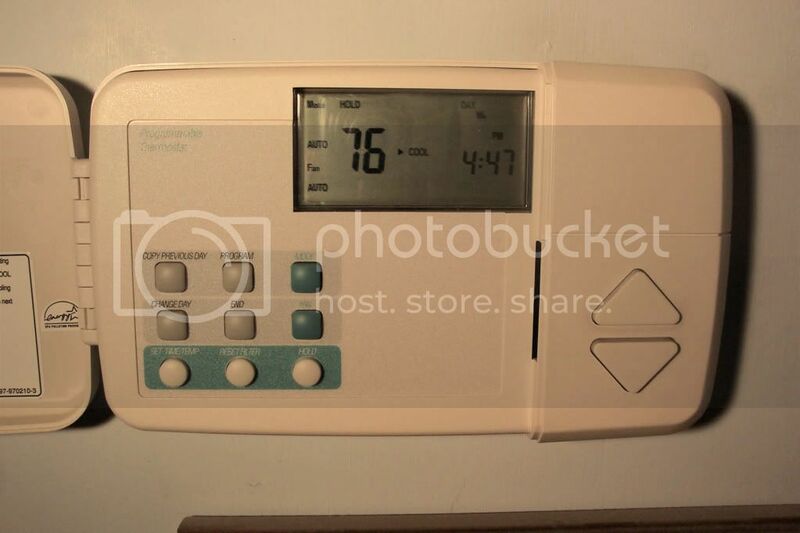 The thermostat is not a Carrier, although my downstairs unit is a Carrier and has an almost identical thermostat. They're probably private labeled for Carrier. What is an HP stat? That's the problem: I cannot find a brand name or model number on it anywhere. I was mistaken. The name "TOTALINE" is embossed on the front cover, but I cannot find a model number. There are some digits in several places, but none of them resembles a model number. Totaline is a Carrier company, and they have the manuals online. Where's the problem? Thanks for pointing that out. Duh. Now, I still need to know which Honeywell thermostat will be the correct replacement. Or, I'd be glad to buy another one of these, if I knew where to get one at a reasonable price. They're probably not in the office today, but I'll call Honeywell to see if they can help me cross-reference this unit. I went through the manual for the Honeywell RTH7500D, but I'm having trouble correlating some of the wire names. Is Y1/W2** actually Y1, W2, or W2**? How is the terminal designation read? R appears to be jumpered to RC. AUX for a heat pump is the same as W2 for a conventional unit. E for a heat pump is the same as Y2 for a conventional unit. So here is where I am with this project. The wire on the left below is the terminal on the existing Totaline thermostat. The terminals on the right are where I think they would connect on the Honeywell. 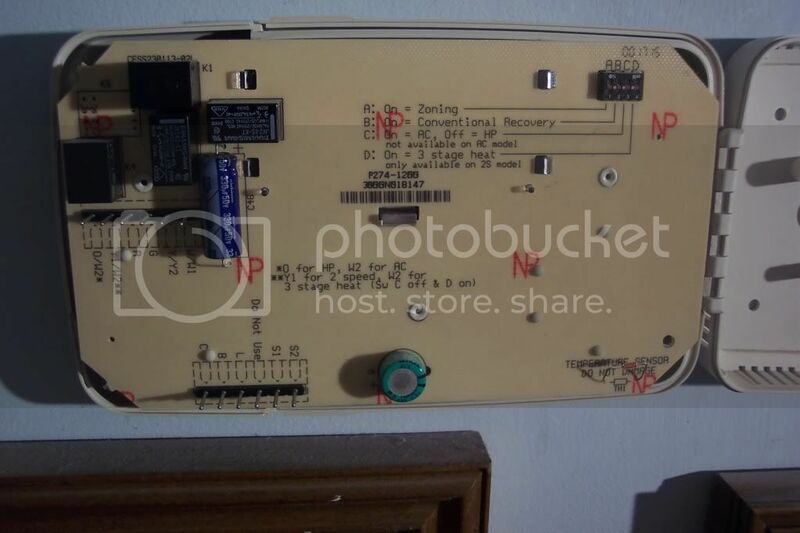 The question marks are the wires that cause me to blow up my heat pump since I don't know where to connect them. It seems that the wire designations on the Totaline unit line up more with the conventional unit designations than with the heat pump ones, which is not unbelievable since the thermostats can be used in both systems. Thanks for working though this mess with me. I hope you see my dilemma. The customer reviews indicate that the installation of the Honeywell unit is a snap. Certainly the mechanical aspects are, but the electrical connections are challenging, and I'm an electrical guy. Private email sent. Thanks for the offer. The present thermostat just sits there and flashes on occasion. Most of the time it works. 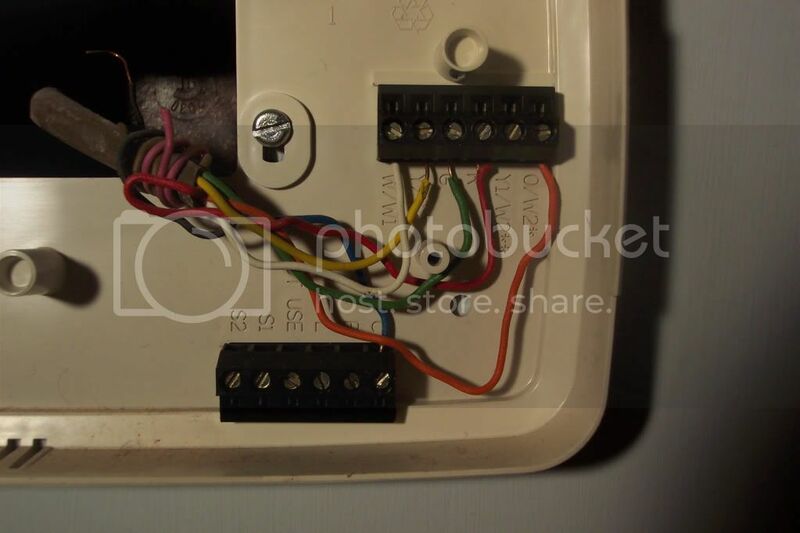 I found a very helpful tutorial at http://www.prothermostats.com/article.php/thermostat-wiring-information---heat-pump-and-multistage/?id . Now I understand most of the functions. One thing is still not clear, though. 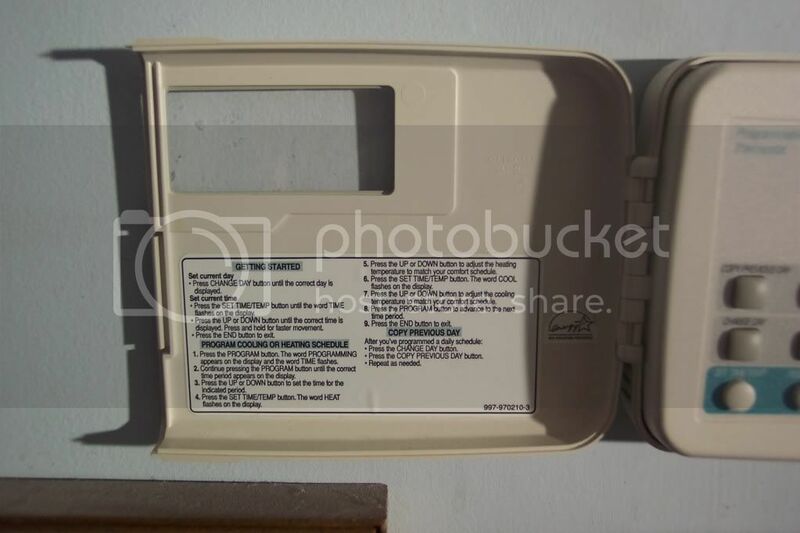 The W wire on my thermostat is for the auxiliary heat strips. Some thermostats have terminals for the auxiliary heating relay (labeled "W2") and for the emergency heating relay (labeled "E"). 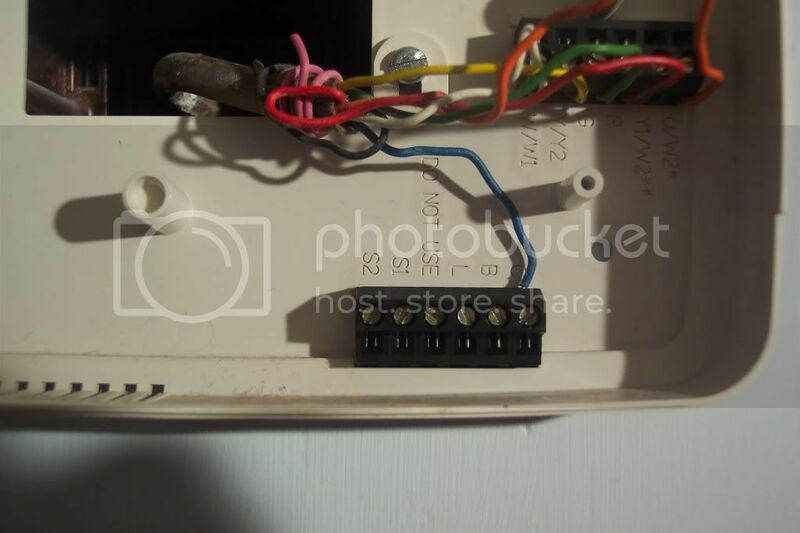 If I were connecting to such a thermostat, would the W wire connect to W2 on the new thermostat? Would the E terminal remain unconnected? Save your money. Buy a $20 replacement, and you won't have your system running all the times you don't need it to. It will pay for itself in the first month. Programmable systems waste energy, no matter what anyone says. Unless you are in an institution where things go the same every day, day in, day out. Other than that, the best thermostat is you, and you know when to turn it on and off. Hmmm, Thermostat operator siting by it. Can't slep. can't go to work. Is that you? All the research Honeywell did, government did, utility companies did is for nothing? How programmable 'stat waste energy? Can you elaborate? Hi, Is youa 'atat broke? If you get a Honeywell Vision Pro7500 or 8000(I have this one) it'll mee your needs. Accompanying manual will tell you what to do. 8000 has few models like 2 stage cooling/2 stage heating et. Don't bother with the post above. The more I read, the more I learn. I'll post back in a little while with my remaining dilemma in that I have found answers to some of my questions. identifying an existing CH system design? 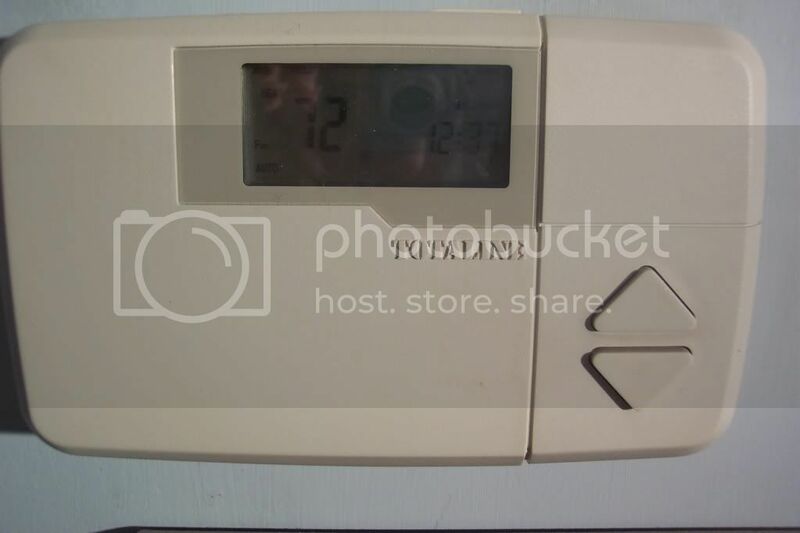 Should I get a programmable thermostat for an electric heat pump central air system? Heat & Glo programmable thermostat? Programmable Thermostat and Gravity fed hot water?